Do you dream of driving a Honda Clarity Plug-In Hybrid one day? Autobytel.com has a wealth of automotive information online. Go on a Honda Clarity Plug-In Hybrid vehicle fact-finding quest for both new and used models. Check out technical details on any automobile like dimensions, weight, horsepower, and more. Find the invoice price on Honda Clarity Plug-In Hybrid vehicles. Go through the critiques from current owners before you buy a Honda Clarity Plug-In Hybrid . Or check out what industry car people have to say. Autobytel has a huge database of new and used Honda Clarity Plug-In Hybrid automobiles for sale across the country. Find vehicles available for purchase in your area. Choose a city or use your zip to see local dealer inventory. The bulk of car buyers these days get vehicle information on various websites. 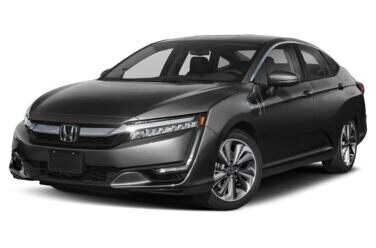 An all encompassing site like Autobytel is a great place to learn anything you need to know about Honda Clarity Plug-In Hybrid vehicles. For every vehicle manufactured in the past decade there is plethora of detailed material. Get an intelligent synopsis of the Honda Clarity Plug-In Hybrid. See which features come stock on the vehicle at Autobytel.com. There is a list of technical specifications that includes data on fuel economy, power output, weight, and the interior and exterior dimensions. Maybe the most important thing you should do before you buy a Honda Clarity Plug-In Hybrid is to use the vehicle configurator to see how much each available option will affect the MSRP price. Take a few minutes to compare Honda Clarity Plug-In Hybrid vehicles against the competition. At Autobytel.com you can view multiple vehicles side by side. Another great resource available to the shopper is crash test data from both the IIHS and the NHTSA; these ratings are very important as a vehicle with a good safety rating could one day save your life. A nice selection of pictures are available at the Autobytel website. See Honda Clarity Plug-In Hybrid vehicle images from various angles including front, rear, and side. These photos are the best way to get a good representation for the look of the automobile. That way when you visit the car dealer lot to buy a Honda Clarity Plug-In Hybrid; you won’t be taken by surprise if there is an unattractive feature. Another great feature at the Autobytel site is the section containing car reviews. Read reviews for Honda Clarity Plug-In Hybrid autos from everyday consumers. There is also analysis from experts in the car field. Besides plenty of information; you can get a list of current incentives on Honda Clarity Plug-In Hybrid vehicles. There are two types of incentives. The first is a rebate, which is an amount taken directly off the MSRP. The second is a special APR financing rate. Browse the inventories of Honda Clarity Plug-In Hybrid automobiles for purchase at nearby dealerships. Before you buy a Honda Model}, see multiple vehicle listings in your area.